Loft stands for 'Live Our Fathers' Teaching'. The members are the Jamaican rappers Courtney Dean St Patrick Williams and Richard Wayne Williams, aka Ranking Richie, and various vocalists, including Lori Glori Gina Mohammed, Sandra Steinborn and Kim Sanders. Produced by DMP (Michael Eisele and Dietmar Stehle), Loft makes a very upbeat sound, varying from eurodance to what is called euro-reggae (an electronic reggae style, done by European groups like Ace Of Base, for instance). Born in Kingston, Jamaica, the Williams brothers came to Germany with the US-Army. In Nürnberg they worked at the same time in a small recording studio in which demos for newcoming artists were produced. All the singles became eurodance classics. The first one was Hold On, which peaked # 8 in Israel. It featured the voices of Kim Sanders and Magdalena Reyes. The texts were written by Nosie Katzmann with C. & R. Williams, the music was composed by Attack II, Giora Schein and Nosie Katzmann. It was recorded in 1993 and released the following year. 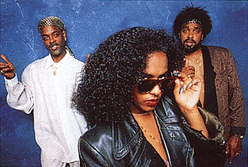 A remixes single was also released, included a 3-nuts mix and a mix by TNT. Wake The World, the debut album of Loft, was something very surprising. By the time of its release, there was nothing alike in the market, so innovation was the word. It featured the voice of Gina Mohammed apart from Hold On and Live It Up (which used vocals of Lori Glori). It was followed by the hits Wake The World (with remixes done by Thorsten Adler, who also co-wrote the track Mad) and Love Is Magic. Even the one which flopped (only # 21 in Israel), Summer Summer Summer, was a great euro-reggae anthem. Future World was the second album of Loft. Released in 1997, its sound was still great eurodance, fortunately with less reggae influences than the previous one. At this time, LOFT vocalist was not Gina anymore, she had been replaced by Sandra Steinborn. The production team was still done by the Cyborg team , DMP and Nosie Katzmann. The single tracks, Don't Stop Me Now and It's Raining Again were the best ones (the last one sounded very DJ Bobo-ish since it was written by Axel Breitung and featured vocals by Christiane Eiben). Afterwards, 2 new singles not featured on the album were released. With Long John Silver they went back to their euro-reggae roots. Their last single, Mallorca, was a homage to one of the most beautiful islands in Europe. It went #1 in Mexico. Afterwards they decided to make a pause. 1999 : they released a Best Of album including a previously unreleased track : Hang On Sloopy. 2004 : LOFT are back for good with a brand new single called Still Number One. The Courtney brothers were is still a part of the group they created, but the female vocalist was new. They had teamed up with new producers : Andreas Hüging and M. Abbing, and the manager Marino Menichelli. The sound was definitevely ragga, but the B-side We Pray was dance. Sue, the new vocalist, is also a bassist and composer. In 15 she created her first own band, ThisBadLife, renamed ElectricCircus... The trend was punk. An album had been recorded, and the group even toured. She took part as vocalist to the project Naive in 1997. She released a solo single called Bliss in February 2004. 2005 : the new single was entitled Love Can't Be Wrong. Written and composed by C. and R. Williams along with Andreas Huging, it was licensed under Warner Chappel and contained a B-side called Loft Scratch. An album was planned. The following tracks could be included : Ayaya, Bliss, Close, Free For You, Illuminare, Love Can't Be Wrong, Love In Motion, No More, Scratch, Still Number One, To You, We Pray, Windy Night.